Little Women - Description | W. W. Norton & Company Ltd. This authoritative, accurate text of the first edition (1868–69) of Little Women is accompanied by textual variants and thorough explanatory annotations. “Backgrounds and Contexts” includes a wealth of archival materials, among them previously unpublished correspondence with Thomas Niles and Alcott’s own precursors to Little Women. “Criticism” reprints twenty nineteenth-century reviews. Seven modern essays represent a variety of critical theories used to read and study the novel, including feminist (Catharine R. Stimpson, Elizabeth Keyser), new historicist (Richard H. Brodhead), psychoanalytic (Angela M. Estes and Kathleen Margaret Lant), and reader-response (Barbara Sicherman). A Chronology and Selected Bibliography are also included. 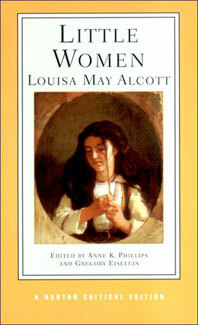 The Pulitzer Prize-winning biographer of Louisa May Alcott illuminates the world of Little Women and its author.